Abstract. Semantic parsing is more popular than ever. One reason is that we have a rising number of semantically annotated corpora. Another reason is that there is new AI technology to be explored. In this talk I will present a new corpus of open-domain texts annotated with formal meaning representations. Using a parallel corpus, the resource is developed not only for English, but also for Dutch, German and Italian. The meaning representations comprise logical operators to assign scope, comparison operators, and non-logical symbols. The non-logical symbols are completely grounded in WordNet concepts and VerbNet-style roles. I will contrast two methods for semantic parsing on this corpus: a traditional technique using a categorial grammar and lambda-calculus, and an ultra-modern way using a (surprise, surprise) neural network. Guess which one performs better! Short Bio. 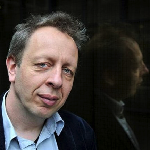 Johan Bos is Professor of Computational Semantics at the University of Groningen. He received his doctorate from the Computational Linguistics Department at the University of the Saarland in 2001. Since then, he held post-doc positions at the University of Edinburgh, working on spoken dialogue systems, and the La Sapienza University of Rome, conducting research on automated question answering. In 2010 he moved to his current position in Groningen, leading the computational semantics group. Bos is the developer of Boxer, a state-of-the-art wide-coverage semantic parser for English, initiator of the Groningen Meaning Bank, a large semantically-annotated corpus of texts, and inventor of Wordrobe, a game with a purpose for semantic annotation. Bos received a €1.5-million Vici grant from NWO in 2015 to investigate the role of meaning in human and machine translation. Abstract. In this talk, I will present a bunch of papers on argument mining (co-)authored by the UKP Lab in Darmstadt. The papers have appeared in NAACL, TACL and related venues in 2018. In the first part, I will talk about large-scale argument search, classification and reasoning. In the second part, the focus will be on mitigating high annotation costs for argument annotation. Specifically, we tackle small-data scenarios for novel argument tasks, less-resourced languages or web-scale argument analysis tasks such as detecting fallacies. The talk presents the results of ongoing projects in Computational Argumentation at the Technische Universität Darmstadt : Argumentation Analysis for the Web (ArguAna) , Decision Support by Means of Automatically Extracting Natural Language Arguments from Big Data (ArgumenText) . Short Bio. 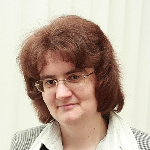 Iryna Gurevych is professor of computer science at TU Darmstadt, where she leads the UKP Lab and the DFG-funded Research Training Group “Adaptive Preparation of Information from Heterogeneous Sources” (AIPHES). She has a broad range of research interests in natural language processing, with a focus on computational argumentation, computational lexical semantics, semantic information management, and discourse and dialogue processing. She has co-founded and co-organized the workshop series “Collaboratively Constructed Semantic Resources and their Applications to NLP”, “Argument Mining” and several research events on innovative applications of NLP to education, social sciences and humanities. More information can be found: https://www.ukp.tu-darmstadt.de/ .